Shopping for the right treadmill can be a difficult and even daunting task. For starters, finding one that both fits your budget and provides the quality of exercise you’re looking for is always a challenge. Moreover, what fits someone else’s needs may not be the right fit for you. Pricing – You can typically find budget and mid-priced treadmills at large retailers. For more expensive brands, you’ll probably have to shop at a specialty fitness store. Size – Keep in mind that you’ll need at least two feet on each side and the back to get on and off the treadmill. Most treadmills measure 6.5 feet by 3.5 feet. Ergonomics – A longer deck is better if you do more running than walking. 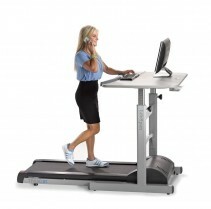 High-Tech Features – Many treadmills now include wireless internet connections, as well as docks for iPods and USB ports. 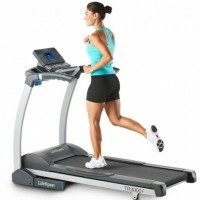 Adjustability – Check and see the incline features; most treadmills incline up to 10 percent, some as high as 15 percent. Assembly – Ask both about delivery and assembly. Remember, a treadmill can weigh up to 400 pounds. Faced with tough competition it should be hard to come out on top, and making a choice across the market should not be easy. 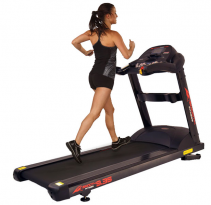 But the TR1200i comes out as one of our highest rated treadmills, and trumps the others to lead the $1000 market. For a reliable and trouble free life, that will give years of great service there is no real need to look beyond the Lifespan TR1200i Treadmill. The face lift from 2015 means that now it has lost its sightly ugly duckling look, with the modern yet sleek looking console that we really enjoy using. 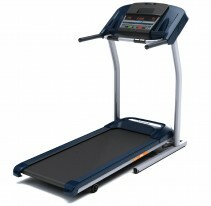 Heavy duty and high capacity 2.5 HP motor with a large 20" x 56" walking belt surface, and 15 levels of adjustable incline. Quiet and lightweight manual fold for space saving and storable purposes in your office or home. Console tracks time, calories, distance, speed, and more. 21 trainer programs targeting weight loss, healthy living, sports training and heart rate programs with bluetooth connectivity. Lifetime warranty on frame and motor. 300 pound user weight limit. 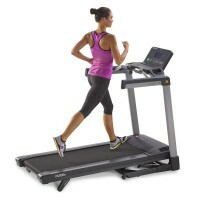 Just sneaking in at under $700 comes the incredibly popular Horizon T101 treadmill. Whether you aim to walk or jog treadmill has the power to keep up. 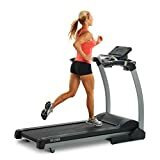 Don't just take our word for it, not only do we think its one of the best value budget treadmills, both Good Housekeeping and Treadmill Doctor have rated this among their best buys. Easy to use, build and train with for an all round treadmill that won't break the bank the Horizon T101 should be on the top of your list. 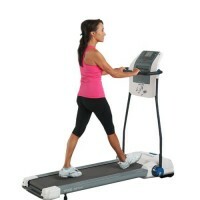 Folding treadmill with speeds up to 10 MPH, incline to 10 percent, 20 x 55-Inch running area. Assembled Dimensions: 70 x 33.5 x 55"" Folded Dimensions: 45.5 x 33.5 x 61"
Managing - or losing - weight is an obvious goal for almost everyone involved in exercise programs. The Yowza Fitness Daytona helps you work toward that goal with its Intelligent Weight Management software which helps you calculate your ideal weight using the Body Mass Index, while helping you create a personalized workout session combining duration, intensity and calories burned. Moreover, the system learns your preferences and tailor your workouts accordingly. One of the most desirable and best looking treadmills for the home this year! One of the key features of the Sole Fitness F80 is its shock absorption technology - known as Cushion Flex - that increases the comfort level of your workout while reducing the impact on your joints. Another important feature is its ease of folding thanks a hydraulic lift and drop system. The Sole Fitness F80 comes with six standard programs, two custom programs and two heart programs, along with an MP3 compatible sound system, cooling fans and an LCD workout display. 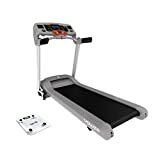 Sole F85 Treadmill Review: The best folding Treadmill for strength and Power?